In my job, I deal with young people of both genders and it isn’t beauty or health related. However, recently, there were some suitable opportunities for me to incorporate a small lesson to all of them about the importance of using sunscreen. I ran a random poll with them and discovered to my horror, that about 90% of the males who are active in outdoor activities do not use a sunscreen at all. And the topmost reason they cited was that sunscreen is a girl’s product! How wrong is that! I had to correct their perception and to tell them that sunscreen should really be seen as a health product too because of the risk of skin cancer when we go under the sun unprotected. I can’t say about the situation in other countries but in Singapore, I think the women are more savvy about sun protection than the men. I suppose the need for flawless skin does put us on the right track from an early age as well. However, I can’t say the same for our men. It took a long time before my husband, who is an avid sports fan, became more vigilant about sunscreen application and that happened only after numerous nagging sessions from me. Prior to that, he was using suntan lotion rather than a sunscreen lotion when swimming under the hot sun! He indicated that he dislike applying sunscreen because it was too creamy and greasy. So I introduced him to chemical sunscreens from La Roche-Posay that aren’t greasy and he’s been using them diligently. I also make him take Heliocare oral sun protection capsules if he exercises under the hot sun. So I think there is a need to educate the men around us on the importance of using sunscreen and I’ll like to make this a challenge to all Viva Woman readers – tell a male family member, colleague or friend who doesn’t use sunscreen the importance of using one today. Tell him that skin cancer is the seventh most common cancer in Singapore, according to the Singapore Cancer Society. Make him use one or better still, get him one. Tell him that sunscreen isn’t a beauty product, but a health product too. Show him articles about the importance of using sunscreen. Educate him on the need to use a sunscreen offering broad spectrum protection against UVA and UVB rays and that he should re-apply every two hours when he is exercising. And introduce him to brands that offer a good selection of sunscreen so that he can find one that suits him. Personally, I think La Roche-Posay’s are great for men. This challenge does not only apply to those living in Singapore. In fact, according to a Forbes article, the countries with the greatest per-capita skin cancer burdens attributable to solar ultraviolet (UV) radiation include the United States, Canada and Cuba, as well as portions of the Pacific and even Northern Europe. Our risk is in fact lower, as we’re listed at the bottom of that list, which consists mainly of South Asian countries, including India, Maldives, Bhutan and Bangladesh. So no matter where you are, go tell a man why he needs to use a sunscreen today! My bf is more beauty conscious than me sometimes. He does everything from cleanse, tone, moisturize, and yes, he does use sunscreen. He likes the SPF50 one from ACNES. But one thing is that he’s not particular about ingredients at all, so some times, I still have to educate him, if he is willing to listen. That’s good…at least he’s conscious and he would use sunscreen. I am less vigilant about ingredients with my husband cos like in his case, natural sunscreen won’t work for him and he doesn’t like the texture. He won’t? Is he active in sports? I guess it’s quite hard to ask them to use it daily but at least when they’re exercising. Its gonna be very tough challenge, at least for my boyfriend. Not even use it when he’s under the hot sun? i cant believe guys think sunscreen is a girly product lol, there are also heaps of guys i know who also believe chapsticks are for girls and so they always have dry cracked lips. bleurgh! That’s a good one…guys using lipbalms are pretty rare too. I live in North America and its interesting to note that we have a higher skin cancer rate than south asian regions for which I imagine there is a lot more UVB rays, however I have noted that the area in which I’m living does have a high UV reading in the summer. I was wondering, if I’m applying suncreen properly should my skin still tan? I’m wondering if the higher rate is due to the fact that most pple in North America like to head out to the sun when it’s summer? Over here, it’s hot all year round so we try to avoid the heat. As for tan, if your sunscreen offers good UVB protection, then it should protect fairly well. But, you might still get a little tan if the sun is really strong. However in terms of skin cancer I have always wondered about the connection between photodamage and the location of lesions some people report on having, such as their scalp or sole of their foot. I wonâ€™t be surprised if scientist discover another big factor in skin cancer as I canâ€™t imagine were all that neglectful when it comes to the sun. Maybe in places where skin cancer is low itâ€™s not solely about being proactive about the sun but also about being more diet considerate (i.e. 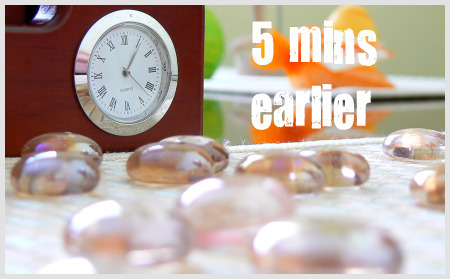 green tea, fruits/veggies, colorful spices) so the body can fight the free radicals created by UV exposure. At least thatâ€™s why I feel North America has a relatively higher cancer rate than most places around the world. Interesting points you raised – I haven’t found out where the growth of skin cancer are – but if it’s on the scalp and sole, that’s hard to protect with sunscreen. Needs more protection from internal system as well and you’re right about the diet definitely. Frankly, changing diet is the most difficult in my opinion. It’s so easy to change products and apply but a lot of what happens to our skin is really due to internal changes. This is kind of late – but I was just discussing skin cancer and the sun with a friend and it occurred to me that there is ozone depletion and the largest damage is at the poles. Therefore the best protection in the hemisphere from UVA rays is along the equator. The northern and southern hemisphere have the worst protection because there is more hemisphere damage the closer you get to the poles. (the largest ozone hole is in antartica). So maybe that is why places like Canada and Australia have higher rates of skin cancer than Singapore. Plus UVA rays are harder to hide from and more damaging for the long run. Hey, that’s so interesting! Thanks thanks for sharing your thoughts on this with me! 🙂 This definitely makes a lot of sense! I kept thinking we have hot weather here but I never thought about our geographical positioning in terms of the hemisphere. I know about Australia but I didn’t realize that skin cancer is also high in Canada. That’s good…even though he’s not wearing it out of the need for protection, he’s using it! gosh! u’re addressing one of my biggest concern!!! Not only does my hubby feel tickled when applying moisturiser (he stiffens up and doesn’t move at all! He seems to think that he needs to lay really still when the moisturiser is on his face – i had to tell him that he’s not putting on a Mask) That was my countless attempts to get him to moisturise. So when it came to sunscreen… it’s an even bigger hurdle! He plays soccer under the scorching sun and comes home looking all blackened and starts to peel afterwhich. It’s so impossible to get him to wear sunscreen. Like the typical Singaporean saying goes – if he does that, it’ll be as good as me striking 4D. Ah…must get him to use it. Our weather is worsening with global warming. Was told that we have 3 months of drought this year compared to the usual 2 and so the heat and the UV radiation are no joke. Don’t moisturize, but must use sunscreen – that’s what I insist with the husband. Or get him Heliocare that he can eat. Take 2 before he goes for his soccer if he doesn’t use sunscreen at all. Haha…I can totally understand that! My hubby is pretty ‘metrosexual’ actually ever since people started mistaking him for being older than he is. He does his own toner, moisturiser routine, etc. He even bought sunscreen of SPF50 for himself when he went for facial. But I haven’t seen him using it!! I must go check with him cos he gets quite a lot of UV exposure in his work. Must remind him that sun exposure really ages a person. It’s good he’s concern about his appearance…at least he bothers to take care of his skin. And wow, he bought his own sunscreen. Very rare! Hope he’s using it diligently. haha i think it’s so much harder to convince men to put on moisturizer than for sunscreen! And it’s funny their skin looks okay without moisturizer! I wanted to caution about using too much sunscreen, even natural ones.I’ve been doing a lot of research about health and natural products lately. And I always come accross the same sayings about sunscreen. That we actually do need some sun exposure and that when we go out to the beach, for instance, it would be a good idea to wait 30min-1hour (depending on how fair your skin is) before applying sunscreen. I also wanted to suggest a book that’s opened my eyes and been a huge resource for me: “The Truth about beauty” by Kat James. Hmm…I think I know where you’re coming from. Even natural sunscreens aren’t that natural so I did read some articles suggesting that some of these ingredients could cause more problems. I guess the best is to apply in modration. This is a great post and an important topic. In fact, the Melanoma Research Foundation is reaching out to teens and young adults about tanning and its link to the deadliest type of skin cancer. Most people donâ€™t realize that using tanning beds before age 35 increases your risk of developing melanoma by 75% and occasionally using tanning beds can triple your chances. The research shows that thereâ€™s no such thing as a â€œsafeâ€ or â€œhealthyâ€ tan. We invite everyone to â€œTake a Stand, Donâ€™t Tan!â€ with us by signing our online pledge at http://www.melanoma.org/take-a-stand. You can also find really important information about the realities of tanning, read stories from young women who have a history of both tanning and melanoma, and watch our YouTube video about teens facing a big decision as they get ready for the prom. Please help us spread the word so teens and young adults can protect themselves from the potentially life-threatening risk they take with tanning! Do you have any recommendation on oil free sunscreen with moisturiser as well that doesnt leave a white cast. I have been searching but most leave a white cast for daily use. Do you mind chemical sunscreen. If not, you can try La-Roche-Posay Anthelios XL 50+ i. The brand has quite good sunscreens that do not leave much white cast and provide a matt finish. It took me months (or a year? or two?) until my boyfriend understood even the simple necessity of SKIN care! However, now he won’t use anything not 100% organic. I also planned to get him to use chemical sunscreen or at least one with silicones to make the application easier for him, but he refuses to let such ingredients touch his skin. Now I am on the impossible search for a non-greasy, liquid (facial hair doesn’t go well with thick textures) all-natural suncreen that does not leave a white cast! SPF 15 or 20 would already be enough for most of the times since he is not fair skinned, but so far I have not found anything at all. Badger has one that is SPF25 for face. It might work. 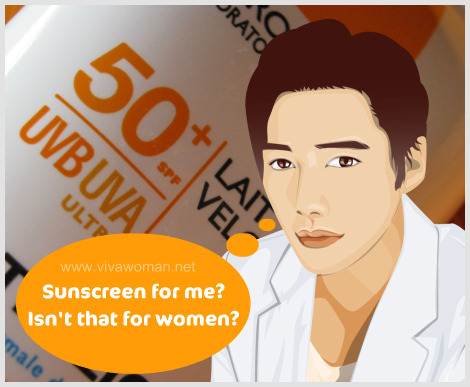 The other is Derma e. Check my review here: http://www.vivawoman.net/2014/08/derma-e-antioxidant-natural-sunscreen-for-face-body/.